Yup, we’re talking about the guy who wants everyone on the block to take notice of his ride. 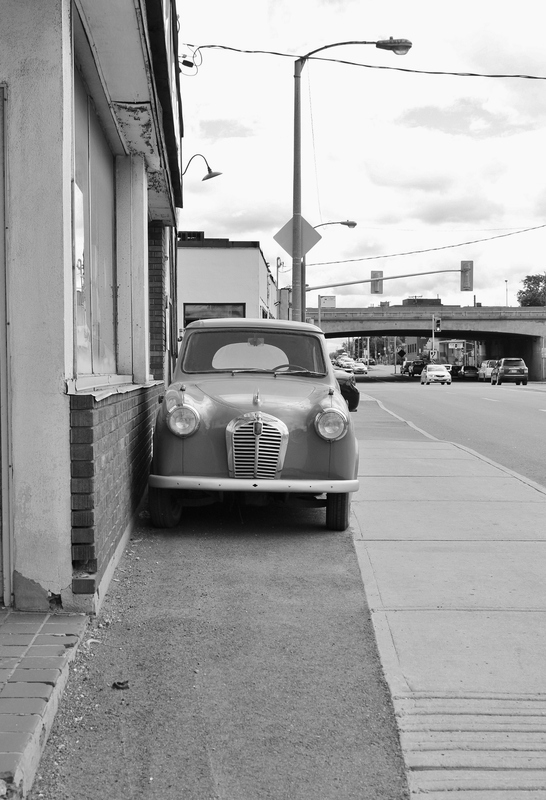 Aftermarket parts, a burpy exhaust, decals, tinting – the kind of car no father wants to see his daughter get into. 15 years ago the ride du jour for such characters was a Civic or Accord (Honda remains popular for this, but not nearly as much). Good handling and a peppy engine formed the backbone, while coffee can mufflers, ill-fitting rims, painted mirrors and purple, bubbled tinting made up the rest of the beast. A close runner-up, usually less obvious and tricked-out than its Honda brethren, was the early 90s Nissan Maxima. Since then, the scene has changed a bit and a new heat score has risen to the top (according to this writer’s completely non-scientific observations). 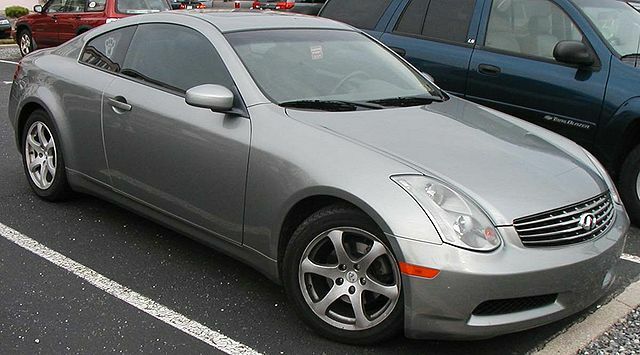 The Infiniti G35/G37, especially those made circa 2002-2010. 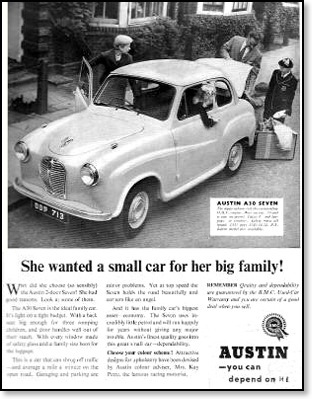 There’s nothing wrong with lavishing attention on used rear-drive imports with brawny engines – hell, who wouldn’t? – but the act of driving a car that gets you noticed while doing things you don’t want to be noticed doing… well, that seems counter-intuitive. A former neighbour with a subtly done up early-2000s Accord taught me this lesson. If your otherwise plain ride is seen all over town making brief visits, but you’re not carrying a pizza box into the building, you’re more visible than you think. Fellas: you can keep the G35 with the slammed suspension and 20-inch rims for social work, but for ‘business’ (whatever that might be, not trying to pry), maybe it would be a good idea to keep a 2008 Impala in reserve. This entry was posted in Musings on August 31, 2015 by Steph Willems. 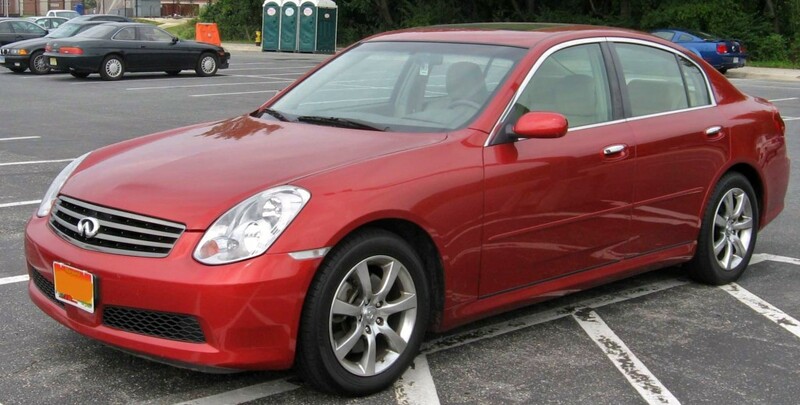 Wait – this isn’t a normal BMW…. Despite plenty of hype to the contrary, the automotive world is a lot more ‘evolution’ than ‘revolution’, and there’s nothing wrong with that. The jump from Model T to Tesla Model S wasn’t achieved in a single bound. In the electric vehicle world, the latest step forward is the quirky BMW i3 – a space efficient hatch that offers drivers an all-EV lifestyle or a range-extended experience. 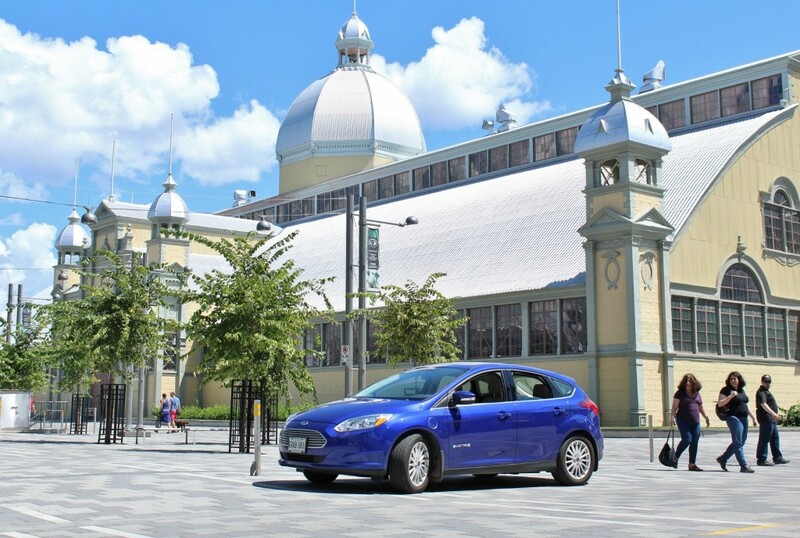 It began trickling into North American driveways as a pure EV last summer, with the more versatile range-extended model introduced this year. Like screens? 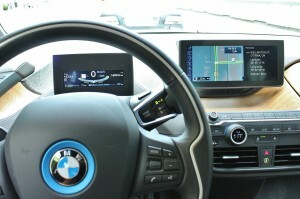 The futuristic BMW i3 has screens aplenty. The i3 isn’t going to be mistaken for anything else on the road. Short and tall, the four-seat EV features clamshell doors (with a dropped-down rear window), a glazed rear fascia, a spartan-but-high-tech interior, and extensive use of carbon fiber. The dash, positioned low for visibility with two display screens rising from it, is topped with untreated eucalyptus wood and ringed (in this model) with dark brown leather – mixing classic luxury cues with the ultramodern. 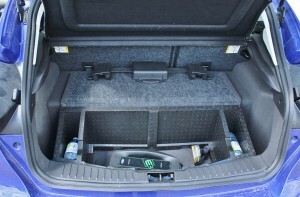 While most EVs keep their interiors pretty conventional, BMW ventured way outside the box with the interior of this box. 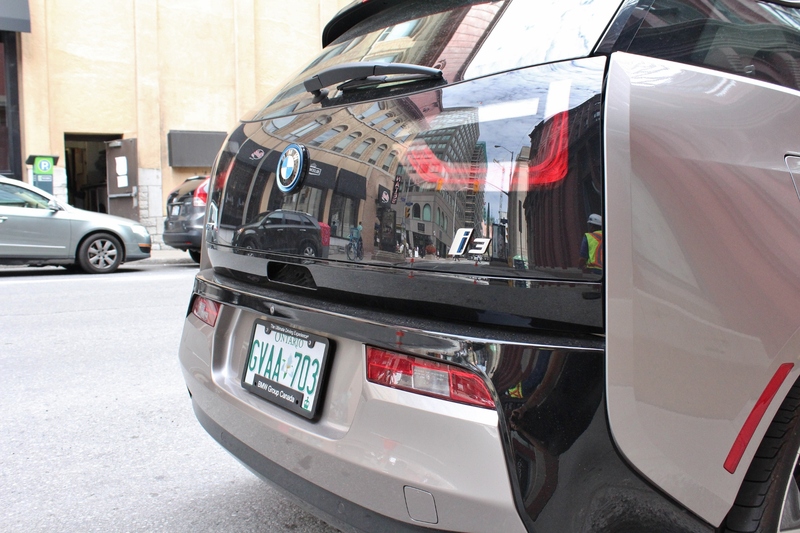 Powering the i3 is an electric motor making 170 horsepower and 184 foot-pounds of torque, drawing from a battery with an EPA-certified range of 130 km. 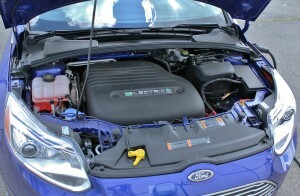 The manufacturer gives a range of 130-160 km, depending on driving style and terrain. Mirror, mirror… The BMW i3 won’t be mistaken for anything ordinary. A range-extended option exists for the i3, which, for a few thousand dollars more, adds a 647cc two-cylinder generator and tiny 7.2-litre gas tank, pushing the vehicle’s range to approximately 240 km. The first thing a driver notices upon entering the cabin is a lack of full (to the firewall) console, as well as the lack of obvious shifter. 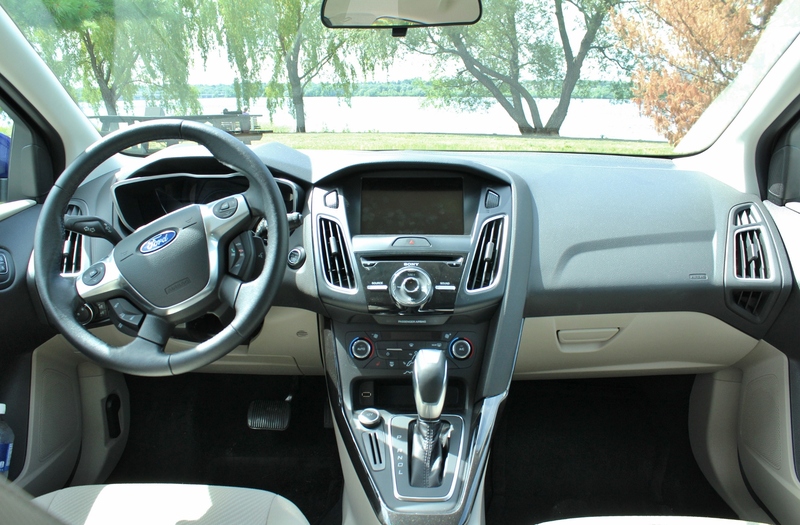 A small, between-the-seats console exists to accommodate the infotainment dial, armrest and electric parking brake, but a driver and passenger could play footsies with all that open floor space. Protruding from the right of the steering column is a small, fob-like shifter actuated via a toggle on the end. 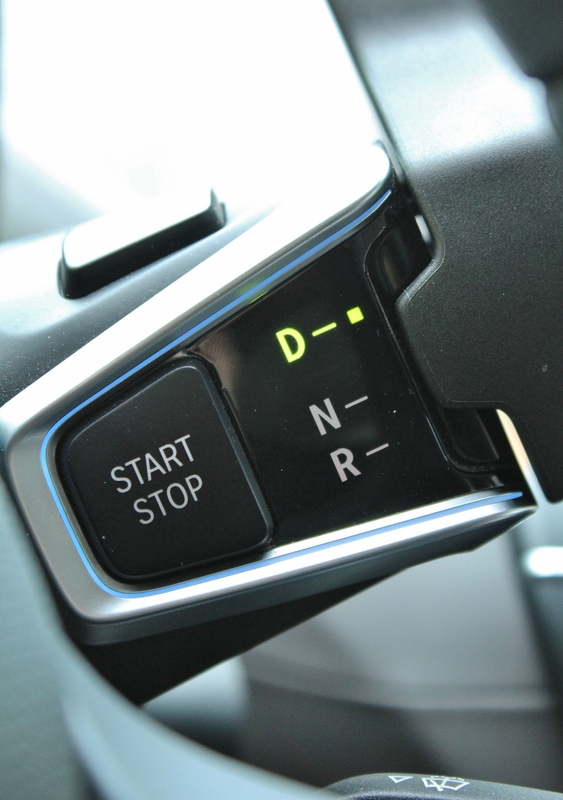 In what first seems like an awkward placing, the pushbutton ignition and ‘park’ button is also located on this abbreviated stalk. Shifty: a steering column-mounted gearshift uses a button to actuate ‘Park’. In the back, rear seat passengers will be faced with a slightly upright seatback but ample leg and headroom. The 6’4″ writer of this post could pass his hand between his scalp and the headliner while sitting on the flat but comfortable leather-bound bench seat. 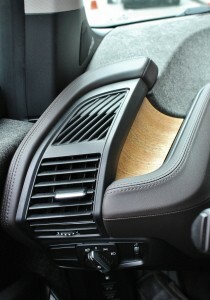 Occupants of the i3 will quickly notice the surfaces not covered by leather or wood. Looking like plain fiberglass, the interior boats widespread use of light and strong carbon fiber-reinforced plastic. 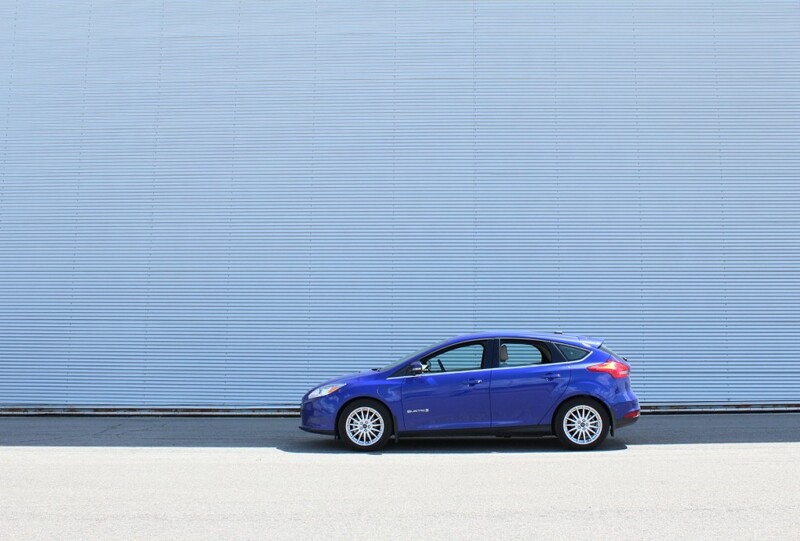 Not only does it contribute to the car’s stiff bodyshell, it allows the i3 to shed the weight that other EVs seem to pile on. Starting at a curb weight of 2,635 pounds (barely more than the company’s Z4 roadster), the i3 weighs hundreds of pounds less than most modern compact cars, not to mention their heavier EV and hybrid brethren. 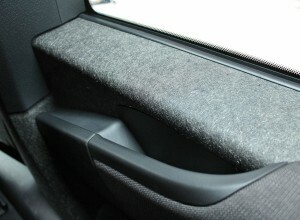 Interior room, comfort and visibility is the by-product of the i3’s boxy shape. That light weight and stiff structure lends to impressive acceleration and cornering. 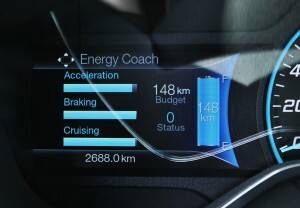 BMW states the i3 will go 0-to-60 mph (0 – 96 km/h) in 7.2 seconds, which is quite quick. Electric motors carry with them two distinct benefits: instant torque and seamless acceleration from a typical one-speed automatic transmission. 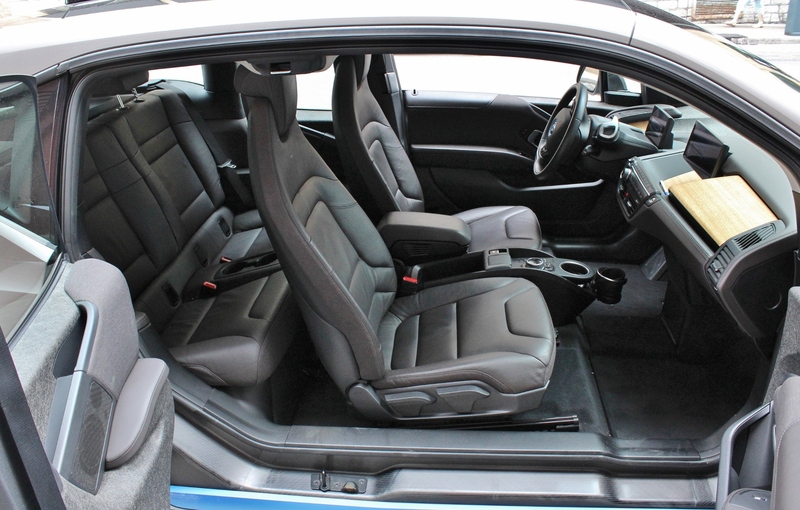 Lightweight carbon fiber-reinforced body panels are found throughout the interior. The i3 leaps ahead when the stiff accelerator pedal is pushed, and decelerates rapidly when released, thanks to heavy regenerative braking. In fact, so heavy is the engine braking effect that the brake pedal gets little use when the car isn’t at rest. 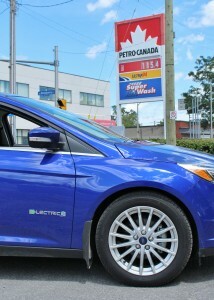 The i3 rides atop distinctive 155/70 R19 tires. They’re tall, but they’re also skinny. The duration of this test was disappointingly brief, so highway handling characteristics and range details couldn’t be fleshed out. Would the BMW wander or feel skittish on the highway? What about high-speed wind and road noise? Buffeting? These useful observations will have to wait until a longer road test. Present meets future: carbon fiber mingles with wood and leather in the i3’s dash. Starting at $44,950 (before applicable government incentives) for the base EV model, the i3 with range extender will likely be the most popular model going forward. 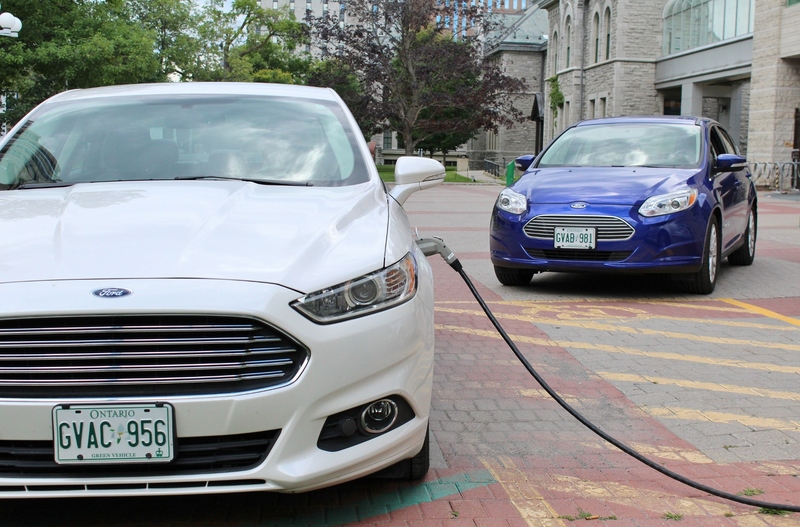 After all, the ability to gas up in certain situations turns what would be a pleasant commuter vehicle into something capable of longer, out-of-town weekend jaunts. It’s hard to beat the piece of mind that comes with knowing that once one fuel runs out, another will take over to help get you home. 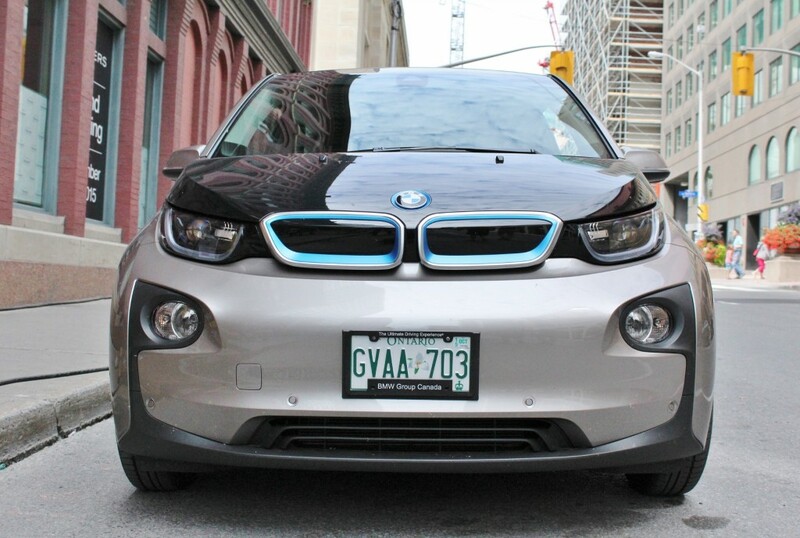 Vehicles like the BMW i3 are still niche products, but improvements are occurring all the time in this field. 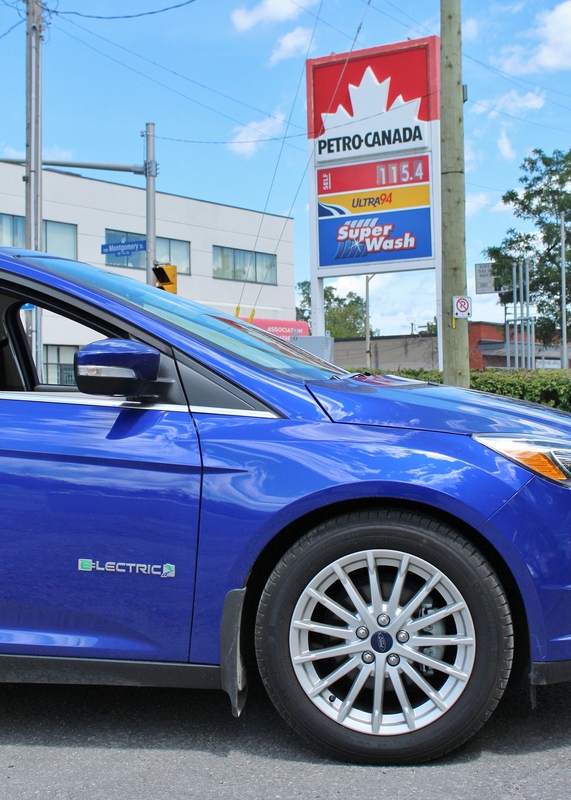 While pricier than plug-ins and EVs from Ford, GM, Nissan, Mitsubishi and Smart, the i3 takes the less-travelled middle road – slotting itself between the Tesla Model S at the top of the range, and those battling for the bottom. Remember, this is still a BMW. 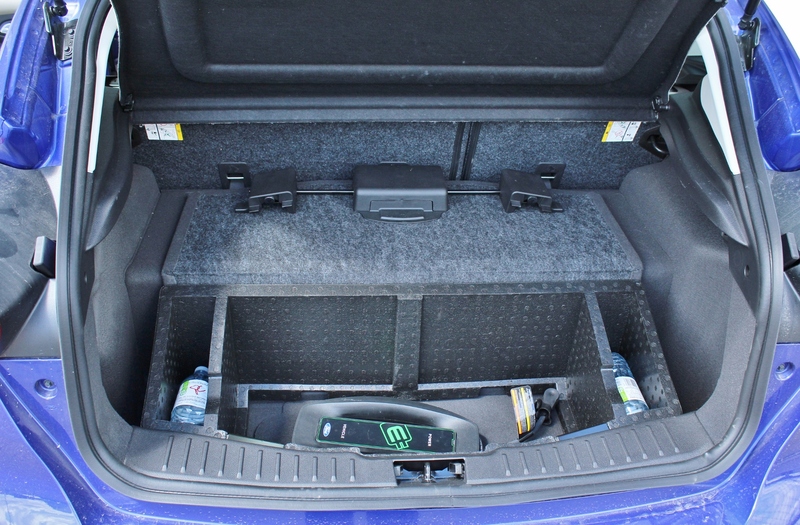 Rear clamshell doors greatly aid access to the rear seat, which surprises with its relative roominess. 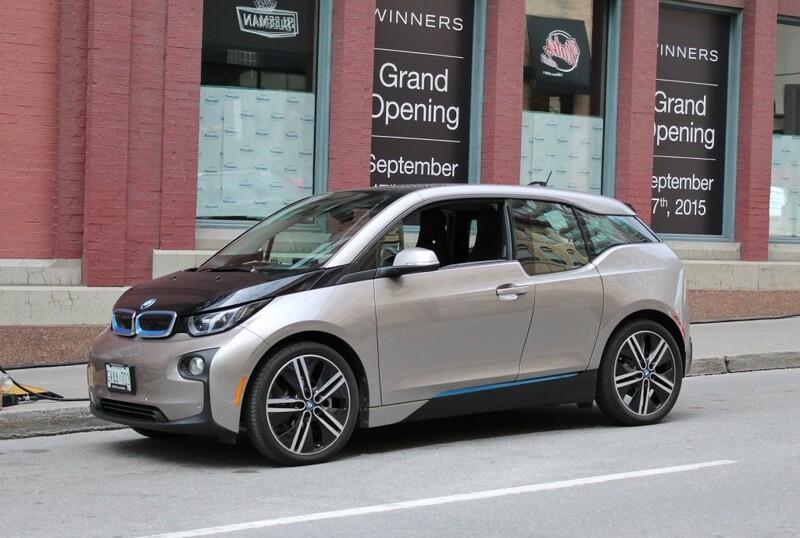 This entry was posted in Test drives and tagged BMW, BMW i3 on August 18, 2015 by Steph Willems. Behold, 6.75-litres of pure British luxury. 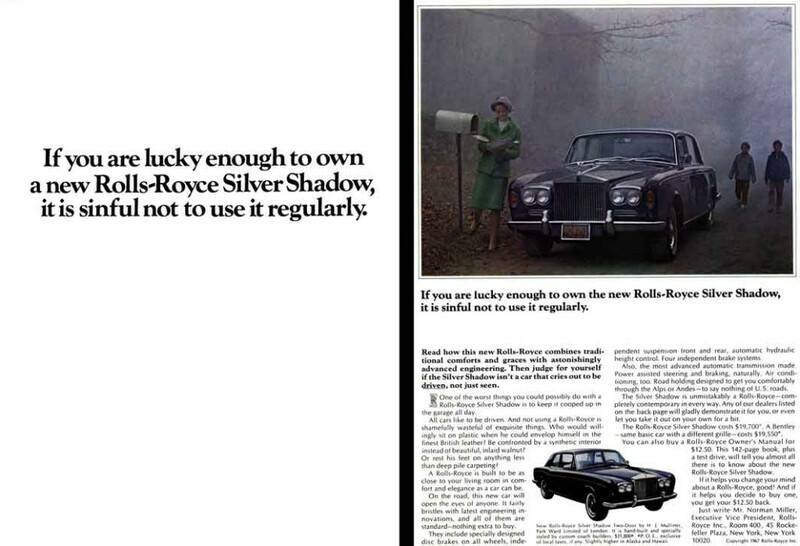 Submitted for your enjoyment, an under-the-hood look at the 1975 Rolls-Royce Silver Shadow. There’s plenty of space under there for a hand holding a wrench, isn’t there? 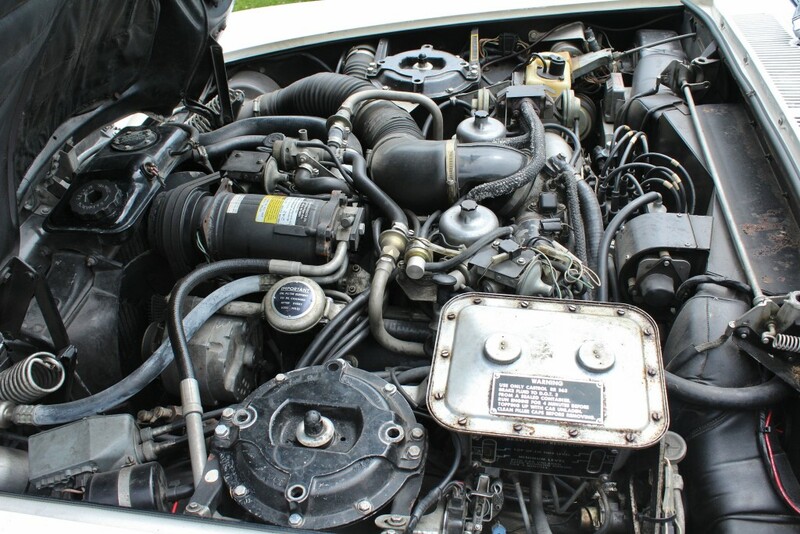 This hefty 6.75-litre V8, which powered the Silver Shadow from 1970 until the model’s demise in 1980, only cranked out 189 horsepower (it was the 70s…). However, piles of torque were on tap to get this British beast moving briskly, smoothly applied through a GM-sourced Turbo-Hydramatic 400 transmission. That’s the same transmission that can be found in a Trans-Am, but we won’t talk about that unrefined plebe-mobile. British luxury vehicles of the 70s and 80s had a reputation for frying wires and hoses, and given the amount of piping hot hardware under this bonnet, I’m wondering if a Silver Shadow owner needs priority parking at his local tweed-clad mechanic. This entry was posted in Spotted in the wild and tagged Rolls-Royce, Silver Shadow on August 16, 2015 by Steph Willems. 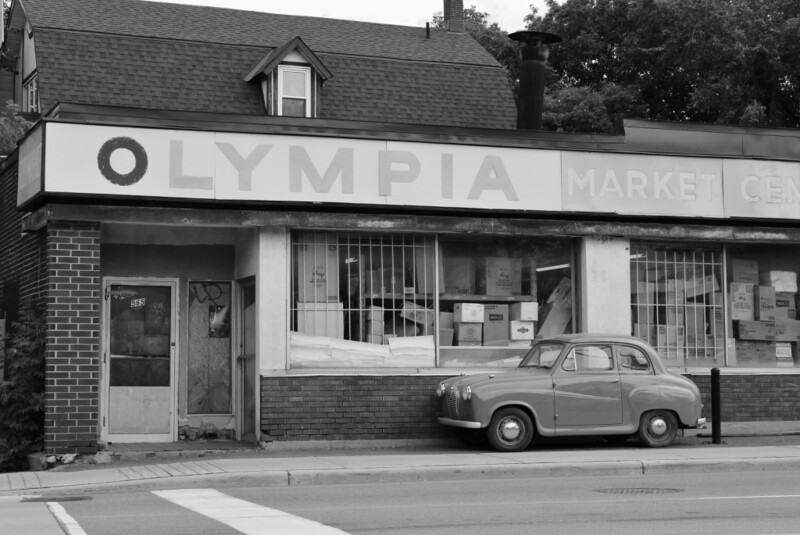 Who’s winning in the bargain-basement price field? 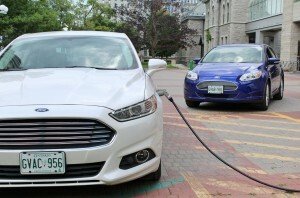 For well over a year now, lucky Canadians have basked in the joy that comes from knowing they’re able to purchase the two cheapest cars offered in North America. Both the Nissan Micra and Mitsubishi Mirage come with window stickers reading ‘$9,998’, making the diminutive imports the cheapest way (by far) to get into a new car. 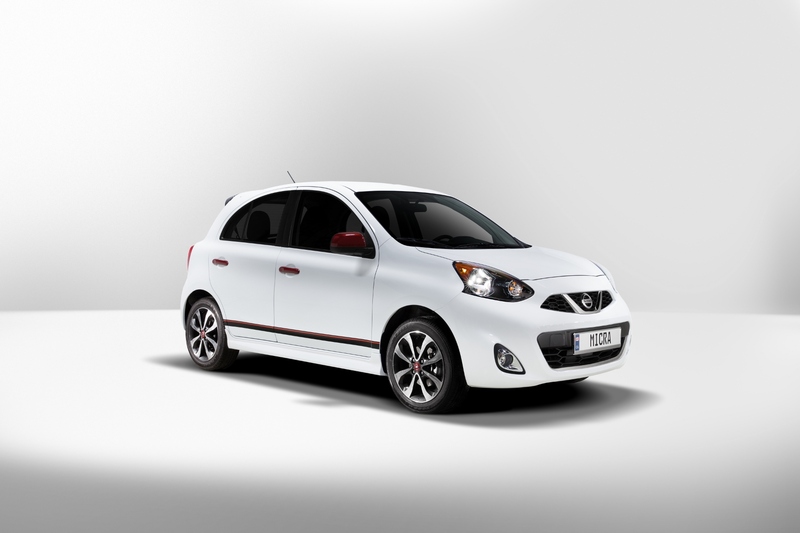 Canada gets an added bonus with the Micra, which isn’t yet available in the United States. We’re special!! The Micra, which landed in dealerships in the spring of 2014, trades as much on its quirky, fun-to-drive rep as it does its low starting price. 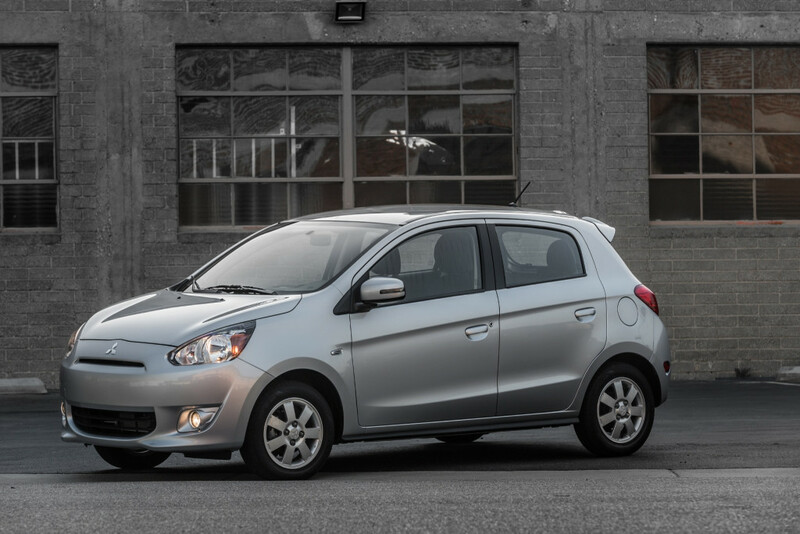 The Mirage, which appeared on these shores in late 2013, offers better fuel economy (and a lot less power from its standard 3-cylinder) but less distinctive styling. 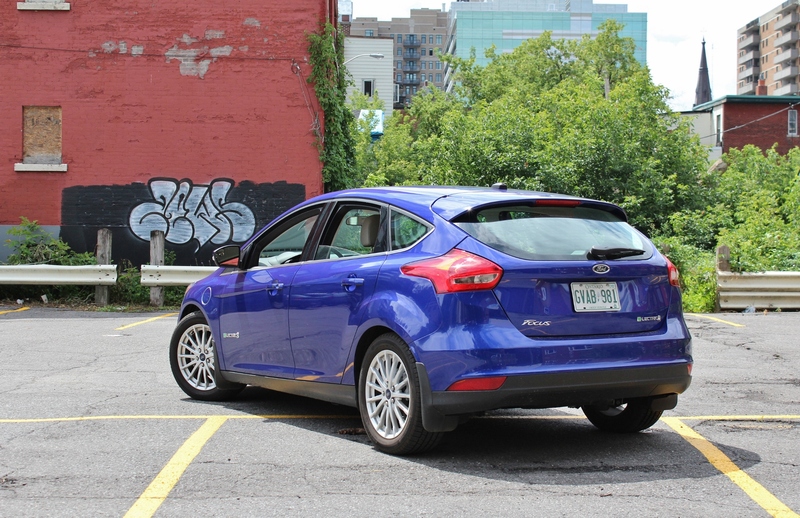 In a two-way race, there can only be one winner, so which subcompact hatch are Canadians lusting after the most? Numbers don’t lie, and the Micra is the clear winner (though a corner of west Quebec this writer lives near seems to have an affinity for the Mirage, especially those in gross, retina-burning colours). The Mirage posted 4,048 sales in 2014 and 2,137 so far this year (ending in July). Its best sales month ever was April of last year, which happened to be when gas prices were nearing their highest spike. Lately, it seems like sales could be tapering off, though it’s hard to say if that’s a sustained trend. The mighty Micra, on the other hand, posted 7,815 purchases in its abbreviated 2014 sales year, with year-to-date sales running at a healthy (in contrast) 7,151 units. If it was ever really a consideration, the recent dip in gas prices would be more incentive to go with the cheap car that has the most horsepower – Micra’s gain. In Quebec, which seemingly values cheap imports more than other provinces, the Micra has the added boost of starring in its own racing circuit, the Nissan Micra Cup. Now, who can resist that allure? This entry was posted in Musings and tagged Mitsubishi Mirage, Nissan Micra on August 12, 2015 by Steph Willems.